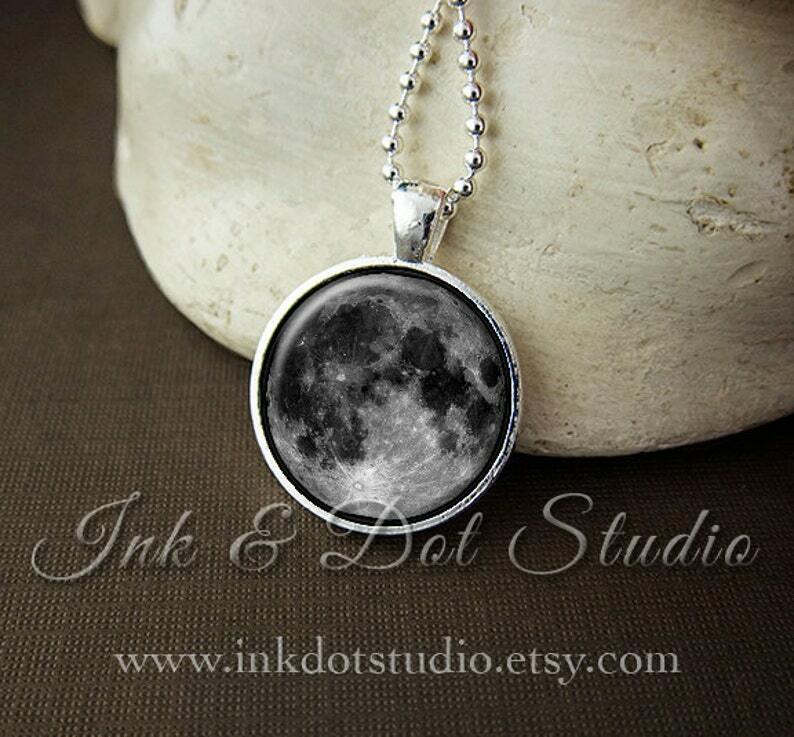 This pendant features an image of a stunning full moon and is ready to ship out on the next business day. Pendant images are individually printed and sealed under a glass dome cabochon by hand. The circular cabochon measures 1" (25mm) in diameter and is set in a shiny silver plated tray. This pendant comes with a 24” ball chain which can be trimmed to desired length very easily with scissors. Shipping upgrades are available to add on to order during checkout. ** Please note that shipping upgrades do not make orders "rush jobs".